THE BRAND NEW SLAYDAWG IS HERE - Updated features include a brand new shape, a fresh dual inclination bevel system and a sick new rose chameleon colorway. 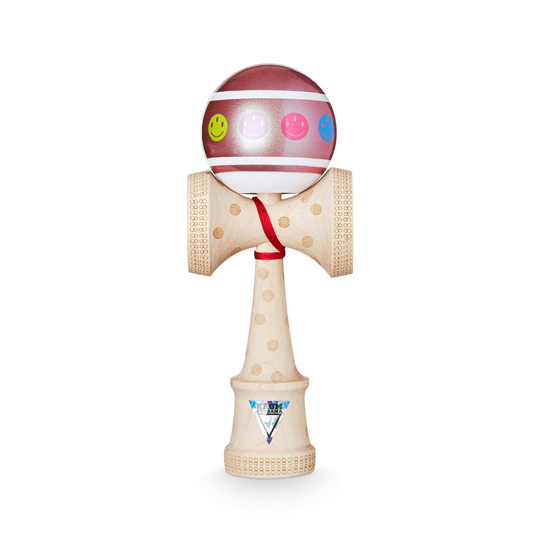 Technical Specifications: brand new Slaydawg 2 shape, updated dual inclination bevel, enlarged base cup drill hole, KROM bearing, KROM LOL Clear, custom laser engravings on the ken, honed maple wood, fresh chameleon paint design, custom packaging and stickers. Created by Thorkild May and the KROM PRO TEAM. Design by Thorkild May and Astrid Mikkelsen.